Originally published in The Diplomat. To read about the results of the election go here. 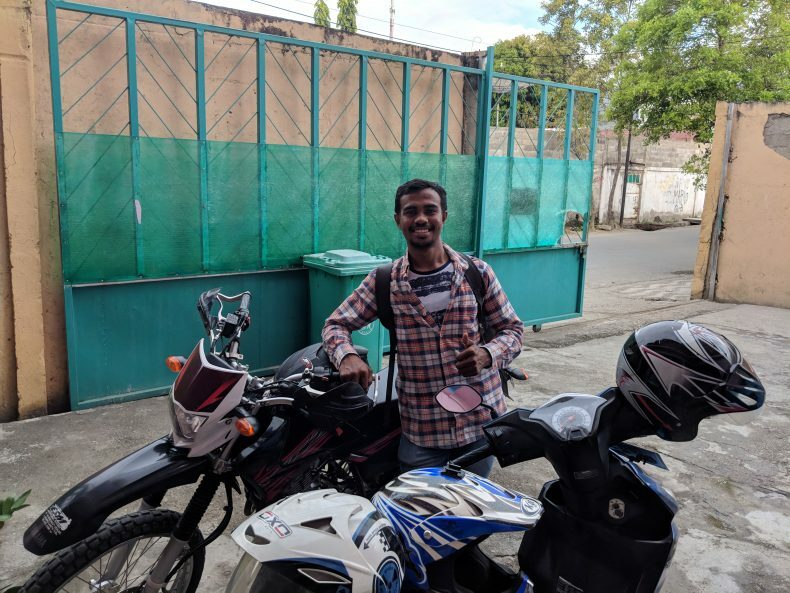 When Asia’s youngest nation heads to the polls for the second time in a year on May 12, Abel Da Costa just wants someone to win. Da Costa, 66, is a school teacher in Manleuana, a quickly growing neighborhood at the edge of Dili, the nation’s capital. His four-classroom school hosts 2,170 students and is in dire need of an expansion or a second building. The problem is, there is no one to ask. The parliamentary elections last July, meant to create a five-year government, ended in deadlock. 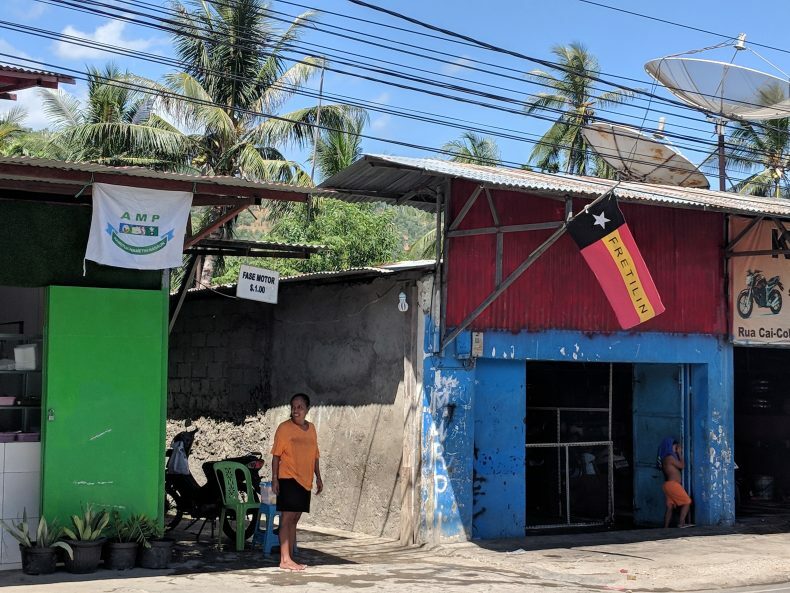 Fretilin, the former guerilla movement that became a political party after Timor-Leste gained independence in 2002, had the most votes at 29.7 percent, beating out rival CNRT by about a thousand votes or 0.02 percent. Fretilin formed a minority government with a smaller party but were not able to pass a budget. In December, the minority government collapsed and the president called for new elections. Ever since, the government has been operating at reduced capacity and many projects have been put on hold pending the formation of a stable government. Da Costa has been paid because salary and wages are covered under the emergency budget that kicked in when none was passed. However, there is no funding for projects, such as building a new school in a rapidly growing suburb during a post-independence baby boom. Neighboring shops in Dili, one flying the flag of Fretilin, the other of AMP. Kym-Louise Miller, 50, is from Australia but has lived in Timor-Leste since the waning days of the Indonesian occupation in 1999. She has an adopted son and had been running a hotel and café. When the business moved to a new location last month, she decided to hold off reopening the café. “Most of our clients were Timorese advisers and contractors,” she explained, “and after the election we lost about 70 percent of the business.” Miller says she’s talked to clients who used to be regulars and many were now out of work, or had family out of work and were trying to save as much as they could and eating lunch out had become a luxury. She’d like to reopen the café, but is waiting until after the election to decide. The hotel also had a lot of Timorese guests. About 20 bed nights a month came from government or NGO employees who were based in the districts but had to stay overnight in the capital for work. Those 20 bed nights a month have dropped to zero. “Some of them are probably out of work now, others are staying with extended family,” Miller suggests. An AMP billboard featuring Xanana Gusmão. There are signs of the upcoming election on every street in the capital. Hanging from doorways and perched on rooftops, supporters have staked the flag of their party. After the worst of the tropical heat has passed each afternoon, groups of motorcycles and pickup trucks of human cargo parade through the streets beeping their horns and waving the same flags. The familiar black and red of Fretelin stickers are plastered on road signs and walls. Their main rival, AMP, is a new coalition of parties including the CNRT and doesn’t have familiar logos to compete. They have Xanana Gusmão, though. 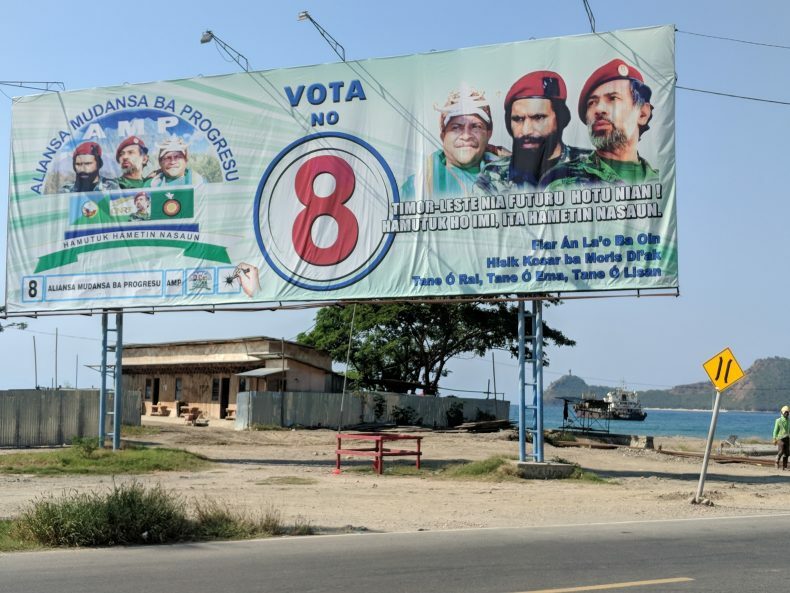 The face of the former guerrilla commander is splashed across billboards and banners, often using old photos of his more militant past, showing him wearing a beard, beret and green military fatigues. There are physical reminders of the political impasse too. The seized fishing vessels as seen from downtown Dili. 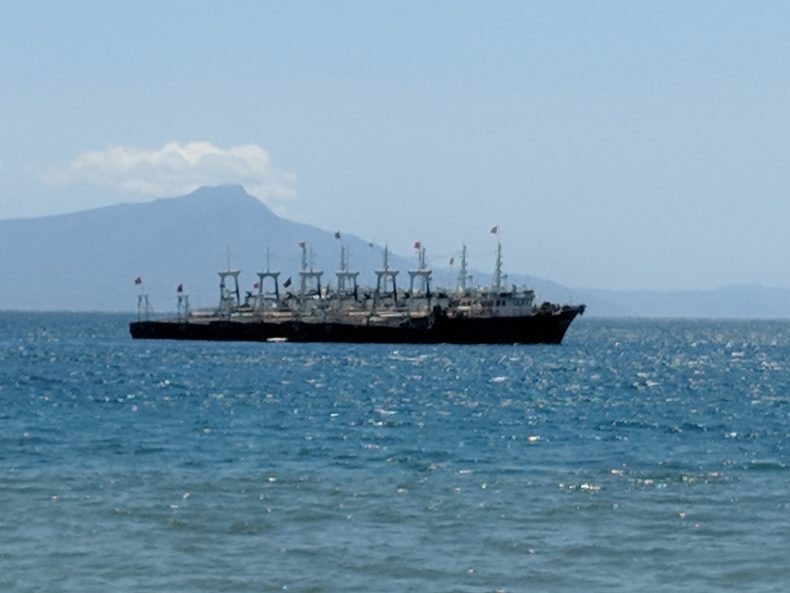 Fifteen fishing vessels, tied into groups of five and anchored indefinitely in Dili Harbor, have become a symbol of government slothfulness. The Chinese-owned ships were seized by the Timorese government in October on suspicion of illegal shark fishing, but the final decision of what will be done with them won’t come down until a new government is in place. “It’s not difficult to determine technically; the delays are political,” explained Lourenco Dos Reis Amaral, the National Director of Fisheries Inspection. Each of the two main parties, both claiming roots in the nation’s struggle for independence, has their own vision for how the young nation should develop, so besides budget restrictions no one is sure which projects will go forward and which will be scrapped. In the meantime, people are feeling the crunch on the street. Anastacio Araujo with two of his motorcycles. John Dennehy has reported on Asian politics and development for places such as The Guardian and Narratively. He is currently based in Dili, Timor-Leste.